There are many times in my life I told myself I couldn’t do something because I clearly didn’t have the skills to do it. And sometimes that is totally the case, I don’t have the skills to take apart a car engine and put it back together again. Now if I took the time and learned the skills to do just that, take apart and put back together a car engine then I could and I might. This is how I’ve felt, amongst other things, about making bread. I’ve been told how easy making bread is, but when I tried the first couple times it didn’t really turn out well. So, then I just assumed it’s something I’m not very good at. The more I have courage to attempt bread bakes the better I’m getting at them aka I’m gaining/learning the skills needed to make bread. 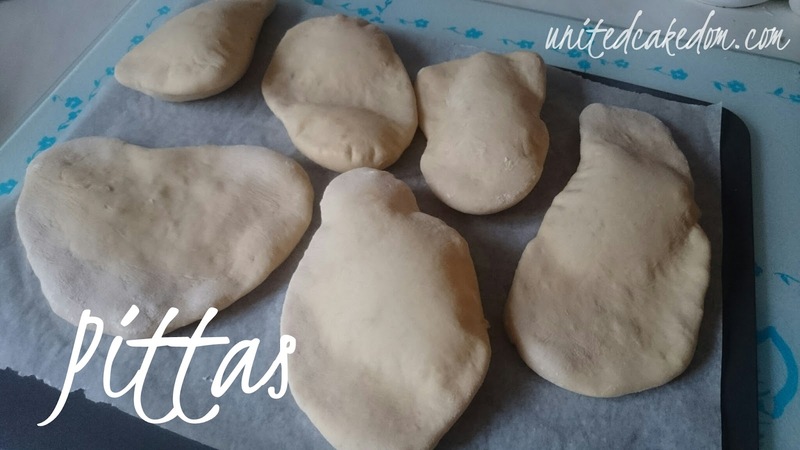 So, when I stumbled across a recipe (more on that in the next post) that asked for pittas I thought to myself why not make them myself!? It was a radical idea at the time, trust me. It took a lot for me not to go out and buy some instead. I told myself no, I said to myself “You said you were going to make them so you’re going to make them!” Just so everyone knows it’s really okay to talk to yourself especially when encouraging yourself to do something you know you can do and you’re just trying to get away with taking the easy way out. 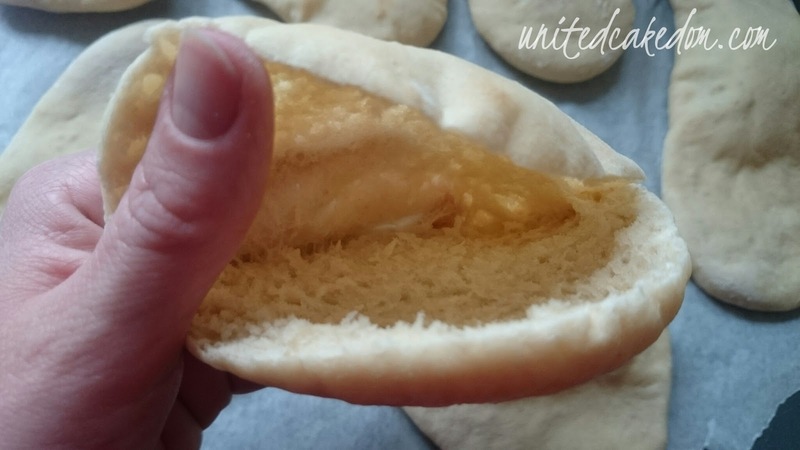 I wasn’t going to make pittas on my own so I went to my trusted bread book titled: Simply Good: Bread by Peter Sidwell. Yup forget Mr. Hollywood Peter really knows what’s what. I also love his Simply Good: Pasta book, just so you know. It really couldn’t be easier. The first batch I put in the oven actually were better then the first as I rolled them out a bit thinner and the second batch were a bit thicker and didn’t balloon the same way. Those I just toast and cut up and dip in hummus! In a big bowl stir the flour and salt together. Measure the water in a measuring jug and mix in the yeast, sugar, and olive oil. Make a well in the middle of the flour and pour in the liquid mixture. Using a spatula or wooden spoon start to bring the dough together, then use your hand until the dough comes away from the sides of the bowl. 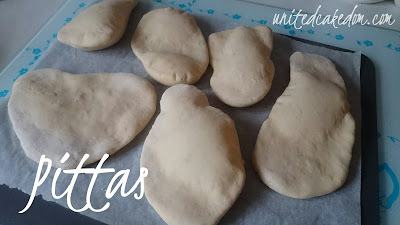 Lightly flour your work top and transfer dough from the bowl to the work top and knead for about 5-10 minutes. Mine took exactly 7, it should be smooth and springy. Leave to rise in a warm room for 30-40 minutes about 10 minutes before it’s due to be risen, heat the oven to 200C and line two baking sheets, I baked them in two batches, but you could bake them in one. Once the dough is doubled in size, knock it back by gently kneading it for several seconds, on a floured work top. 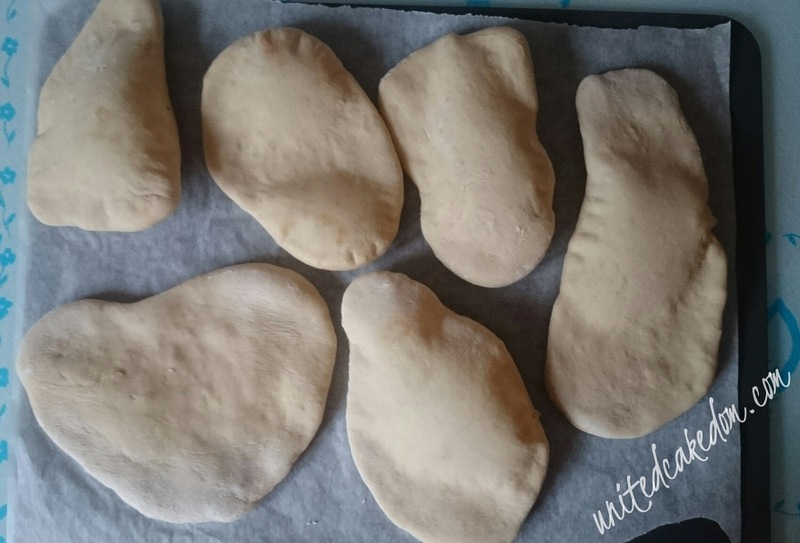 Divide the dough into 12 portions as best you can. Carefully roll the portions in your hands to make an oval shape (like if you were making a snake with Play-Doh) then roll them out with a rolling pin until they are about the thickness of a pound coin or 1/2 cm. Place them on the prepared baking sheets and bake in the heated oven for 5-10 minutes. As I mentioned I made them in two batches so while the first 6 were in the oven I was rolling out the other 6. The should turn golden brown along the edges and balloon up; which gives you a pocket to fill with whatever you want! This is how I filled mine... I'm writing all about it in my next post, so look out for it! notes: recipe is adapted from Peter Sidwell’s Simply Good Bread as mentioned above. 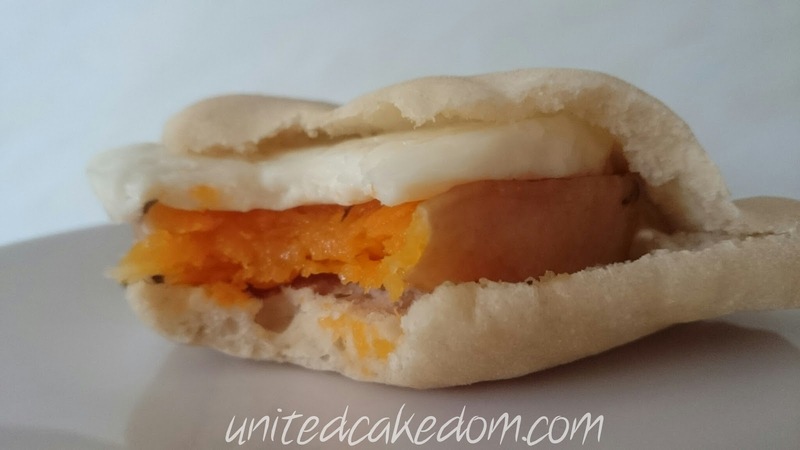 I have also linked it up with the Bready Steady Go challenge hosted by Utterly Scrummy Food and Jen's Food!